Originally from Guyana, South America, Ms Thompson has always shown an entrepreneurial flair. Not taking the usual channel to the small business arena, she evolved from freelance writing for many music industry papers including Music Week the industry bible, and IPC weekly and monthly titles. She also has been involved in many successful firsts in the UK including, being Music Editor for the UK's first Black Monthly glossy magazine - Root, and also being a founder and director of the UK's first Black Music radio station Choice FM, now owned by the Global Radio Group. 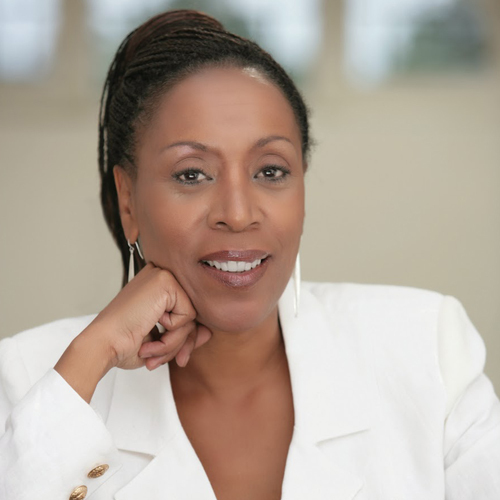 Other firsts include, starting the first Black Owned PR company (according to PR Week), now known as ASAP Communications; running the first in depth research of the lifestyle of the Black community across the UK - The Black Consumer Survey and starting the UK's first Black Women Business Network - The European Federation of Black Women Business Owners. Often called upon for media interviews, on issues concerning small business, women and minorities; Ms Thompson is no stranger to engaging with Prime Ministers, Ministers, and high profile personalities in the business arena. Having made her mark in the UK she was awarded a CBE(Commander Of The British Empire) in the Queen’s Birthday Honour List in 2003 for her services to women, small business and minorities. In 2005 she was awarded an honorary doctorate by London Metropolitan University for services to small business, and mass communications. She has been recognised across the UK and Europe as well as internationally, having been acknowledged by the Mayor of Houston Texas, with an Yvonne Thompson Day (4th January) as well as being named in Washington in the Congressional Records. Ms Thompson has been hailed as a role model in the Black community in the UK and Europe and for women in general wanting to start their own business. She has chaired many governmental committees, including the DTI(now BIS), the Learning & Skills Councils and sat on many boards including the first Mayoral advisory board for the LDA(London Development Agency). Her most recent profiled roles include working with a prestigious corporate network, TNON(The Network Of Networks), chairing the events committee for the Women's Diplomatic Service Network, and most recently appointed to the Economics Honours Committee where she is committed to help in their campaign to increase nominations from minorities and women.